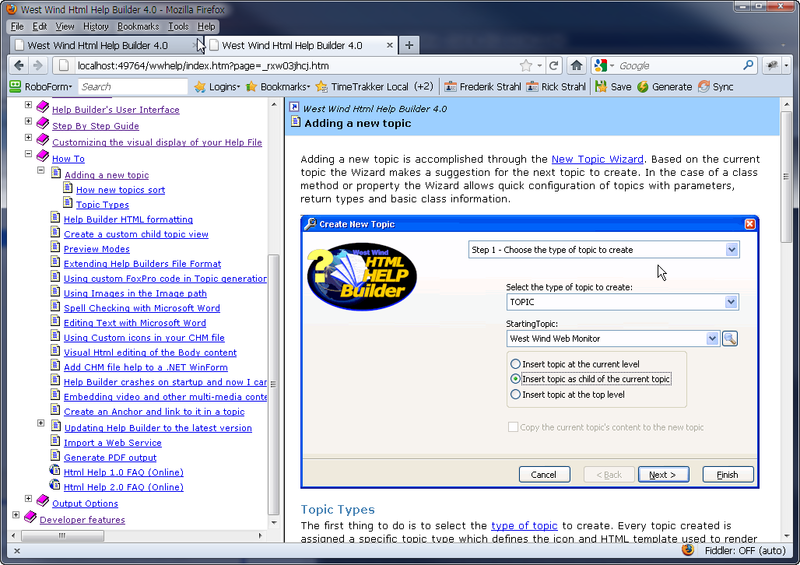 Help Builder creates HTML ready output that can simply be uploaded to a Web site as is either manually or via the built-in FTP Upload features. You can also force Help Builder to display the full frames view of topics and the selected topic with the topic selected and the tree to display the active topic selected. You can do this in two ways. which is very useful for links posted to documentation from message/support boards, social networking sites and such.